China has moved to tighten its control over the cyberspace in China by introducing a new set of policies that would define how technology companies investing in the country should handle confidential software and hardware data. The technology firms have cried foul. The new regulations would force companies that provide computer products in China to submit the source code, a critical component that would otherwise be kept secret in democratic countries. The rules would also impose a mandatory audit that companies deemed intrusive to their business and compel the firms to develop backdoors into the software and hardware of the computer products. 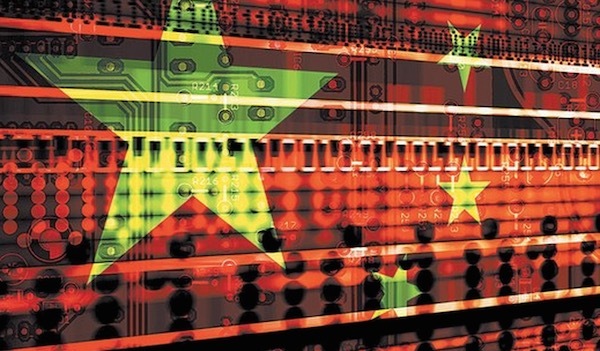 The Chinese government says it aims to bolster the nation’s cybersecurity infrastructure with the release of a lengthy document that lays out in detail the provisions of the new policies. On one side, the invasive measures would definitely boost a cyber asset, but at the expense of privacy and confidentiality of information, which China is ready to crush in the name of advancing its long-running censorship game. The document is only an initial step of the Chinese government as part of a plan to issue further cyber regulations in the months to come. But this early, the tech firms, most of which are foreign, multinational companies, express concern that if this would continue they might be compelled to withdraw their business from China, considered the largest emerging market. China has been known to force its way into the Internet as part of its effort to protect the status quo and hide information that might otherwise create an uproar in the country. The latest move by the government to control the cyberspace comes hot on the heels of recent events that demonstrated how China suppresses the basic freedom of citizens in the country. For example, Gmail has been massively blocked in China, with many believing it was perpetrated by the Great Firewall in a move to remove Google from the Chinese cyber territory and slash its market share in the country. With the new cyber censorship ruling, the tech companies will be further squeezed between creating products and services of varying natures. One, they will have to build computers that provide backdoors to Chinese government officials. On the other hand, half of their offerings must maintain respect for privacy of individual users in other parts of the world that protect citizen rights. In short, the tech companies’ products will be polarized if they are to obey the new regulations.